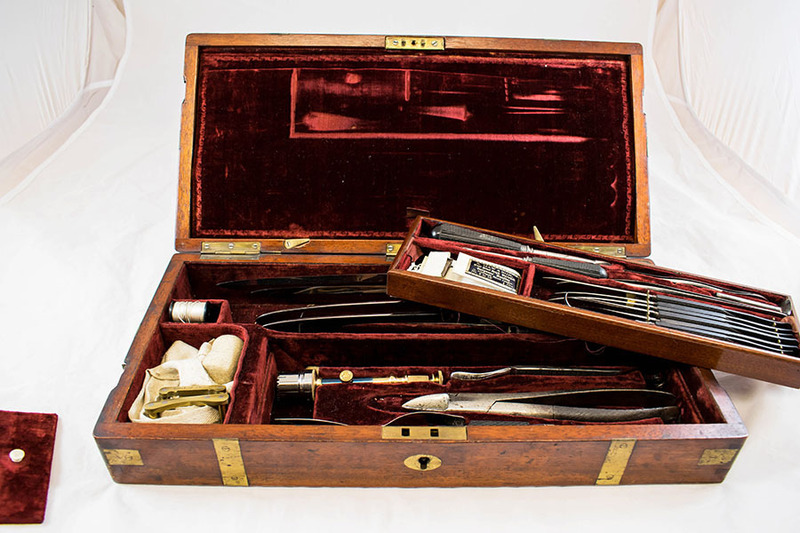 This amputation set was made by S. Maw & Son of Aldersgate Street London. 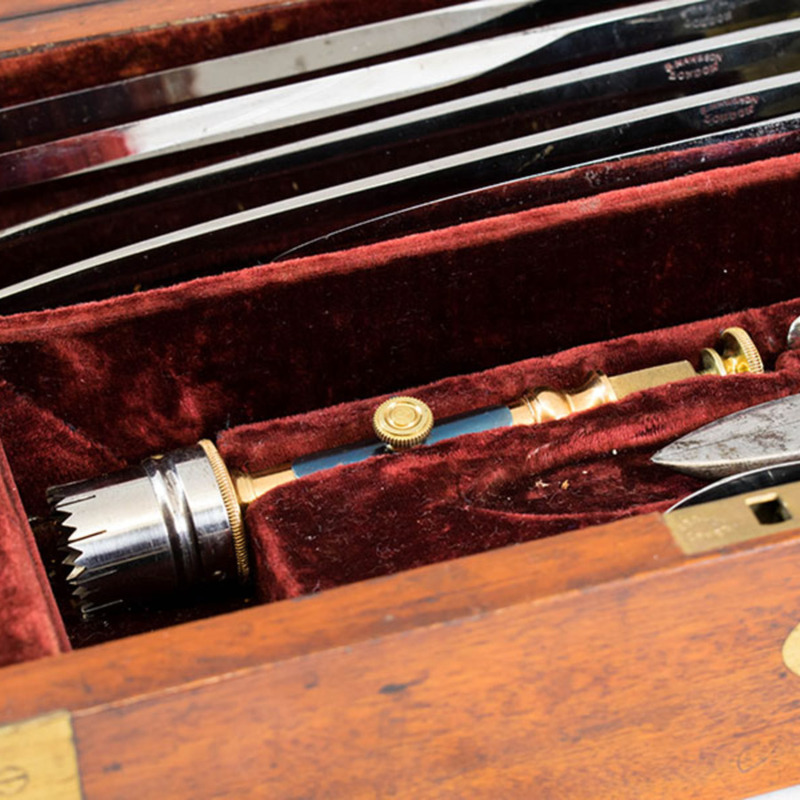 The instruments are contained within a wooden case with a red velvet lining, which is divided into segments and has an additional removable section. The upper division of the set holds three saws: a wide blade amputation saw, a metacarpal saw, and a Hey's scull saw. The lower level houses numerous amputation knives, a screw tourniquet, and two bobbins of thread. 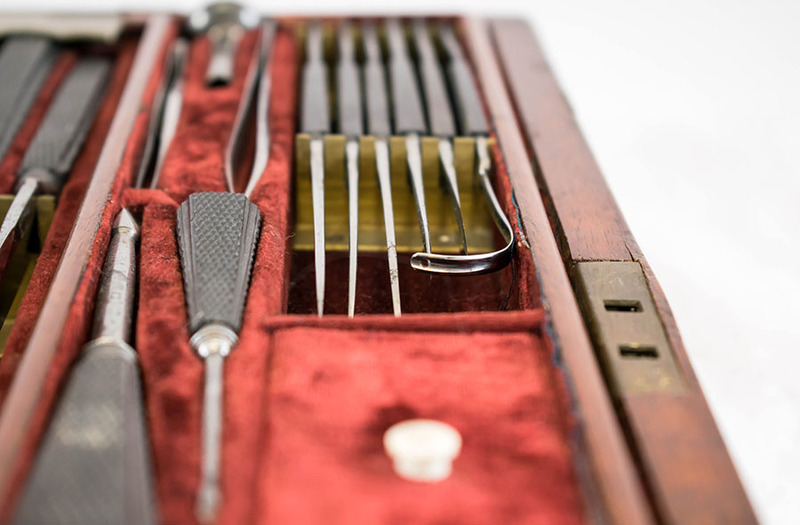 Underneath the removable tray are items including bone forceps, a trephine with a detachable handle and a probang with a sponge attached at its tip. 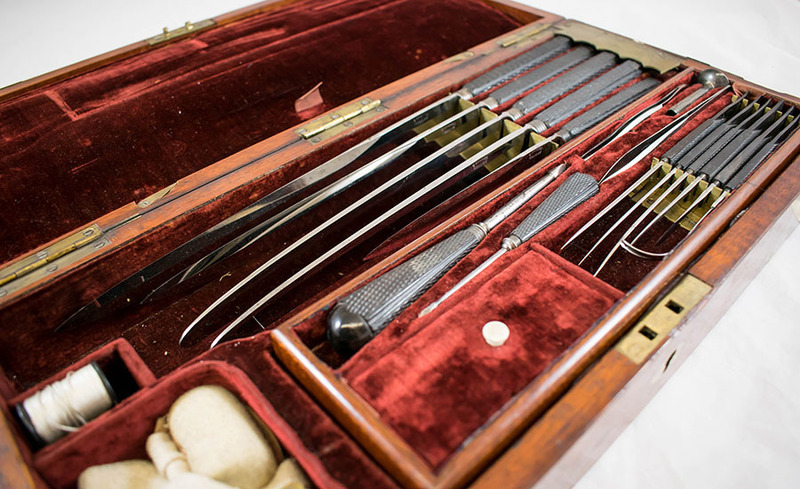 In the tray itself there is an abscess knife, two bistouries, both curved and pointed but one sharp and one blunt, two scalpels of different sizes, two trocars, again with metal heads of varying sizes, and dissecting forceps. Under a small lid in the tray there is a well preserved packet bearing the maker's name and address. 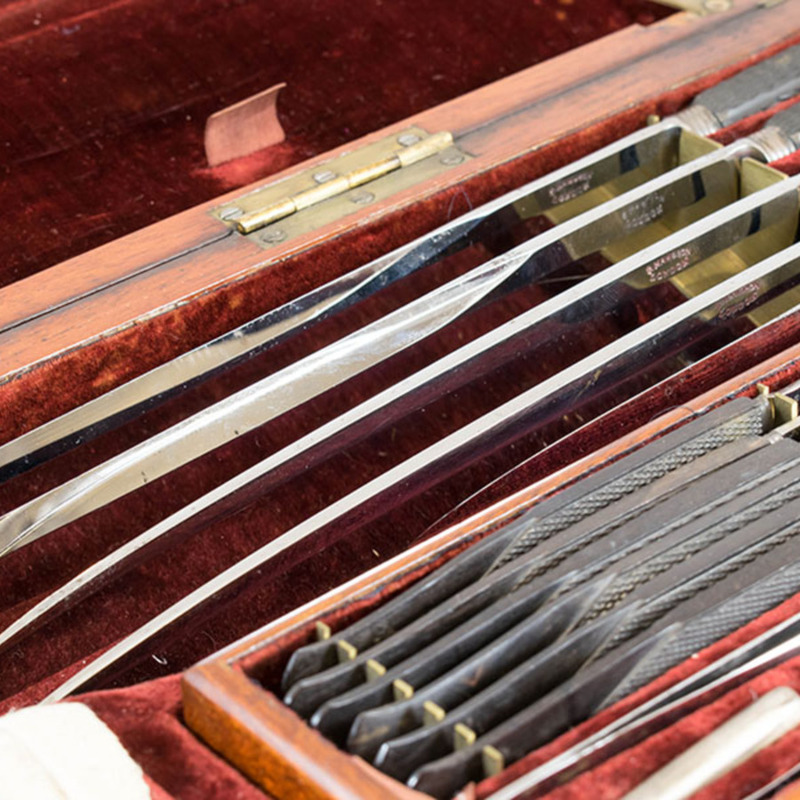 The package contains three needles described as "cast steel high polished surgeons needles". According to the packaging half a dozen such needles were originally held in the paper. 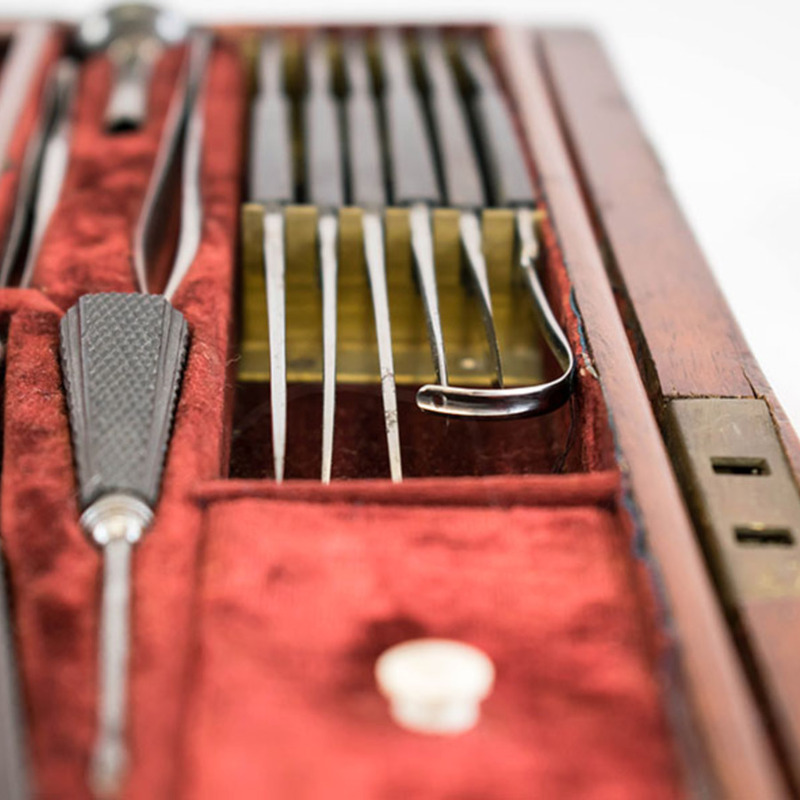 S. Maw & Son, Ltd.; 1860-1979; Health care manufacturer, “Amputation Set,” Heritage, accessed April 24, 2019, https://heritage.rcpsg.ac.uk/items/show/33. 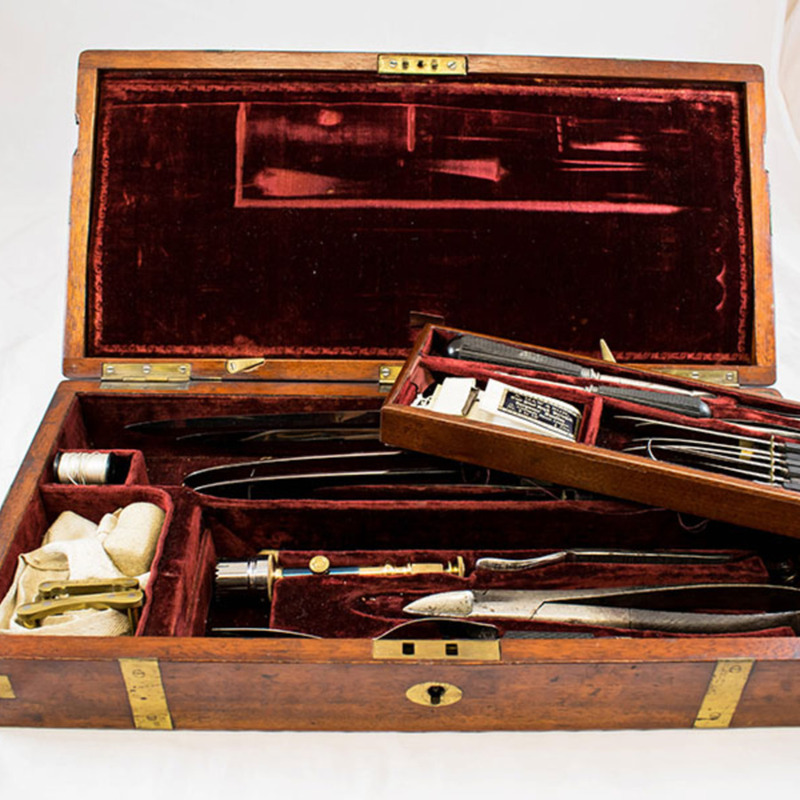 Description: This amputation set was made by S. Maw & Son of Aldersgate Street London. 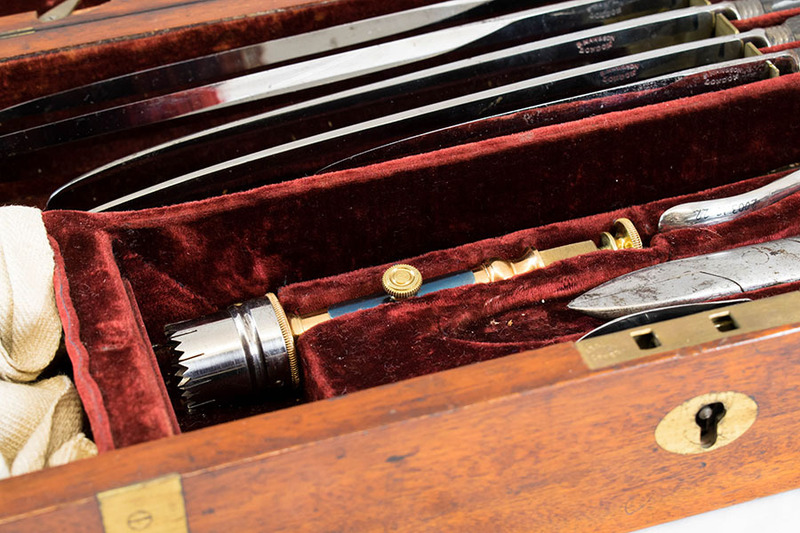 The instruments are contained within a wooden case with a red velvet lining, which is divided into segments and has an additional removable section. The upper division of the set holds three saws: a wide blade amputation saw, a metacarpal saw, and a Hey's scull saw. The lower level houses numerous amputation knives, a screw tourniquet, and two bobbins of thread. Underneath the removable tray are items including bone forceps, a trephine with a detachable handle and a probang with a sponge attached at its tip. 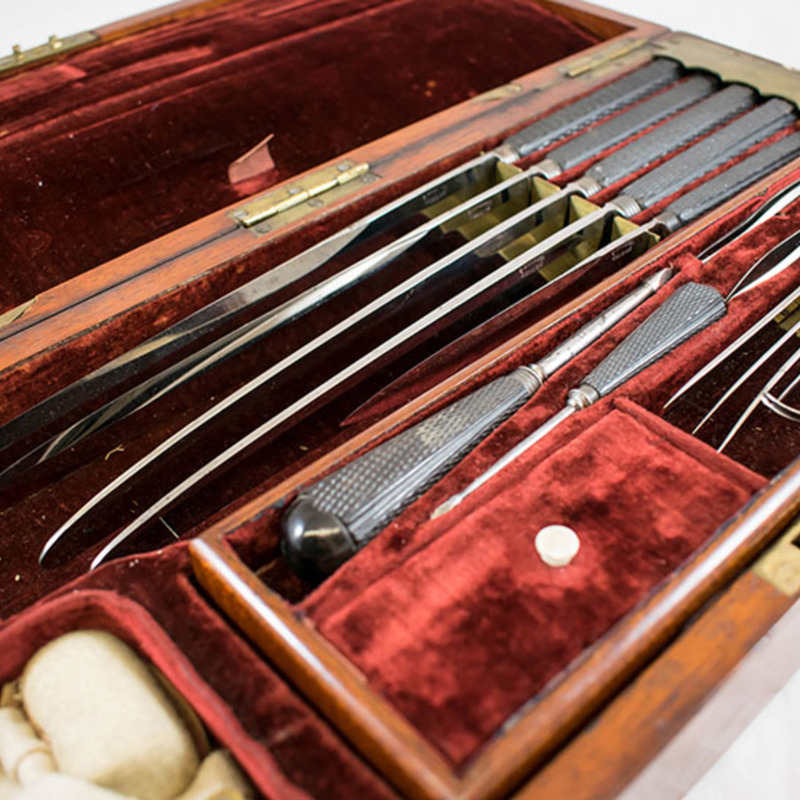 In the tray itself there is an abscess knife, two bistouries, both curved and pointed but one sharp and one blunt, two scalpels of different sizes, two trocars, again with metal heads of varying sizes, and dissecting forceps. Under a small lid in the tray there is a well preserved packet bearing the maker's name and address. 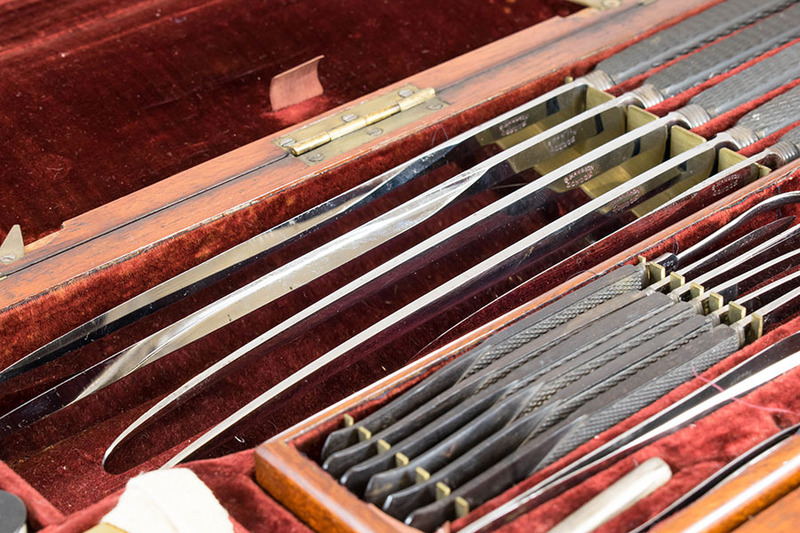 The package contains three needles described as "cast steel high polished surgeons needles". According to the packaging half a dozen such needles were originally held in the paper.